Working full-time and being a mom all the time, this is a hard thing to do. I’ve been there and if this is your current situation and you wish you could be home more, then read on. 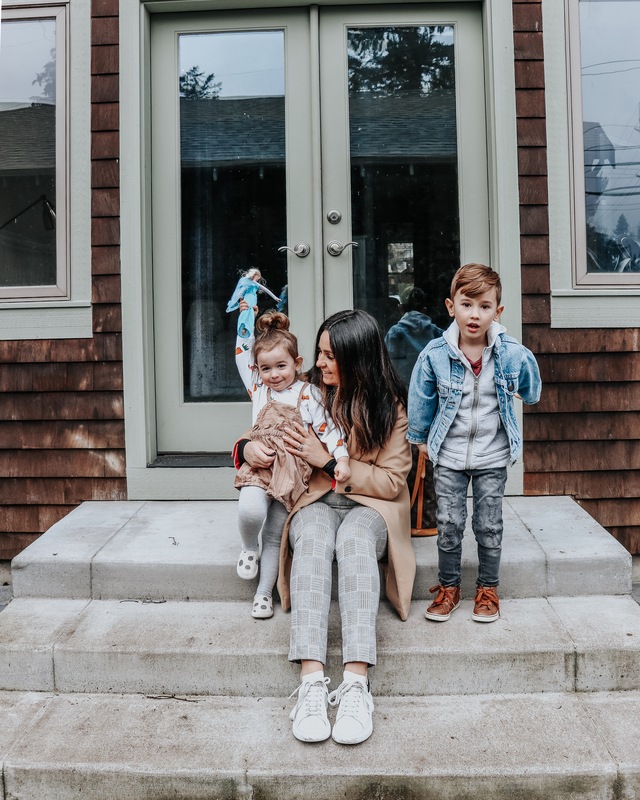 One of the biggest concerns for many moms is “how do I afford to be a stay at home mom.” Not only this, but how can I be a stay at home mom and still have a life and not be “house poor”? 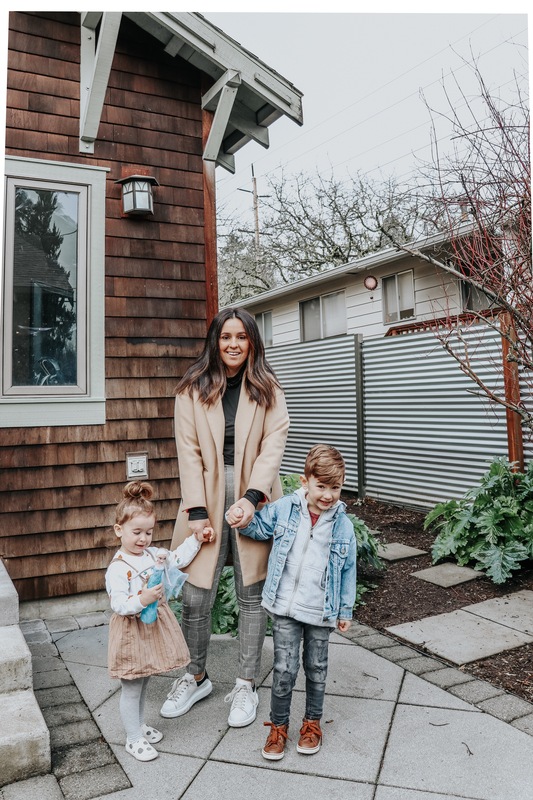 House poor basically means you are home with the kids but can’t afford to buy yourself new clothes or even enjoy an occasional massage or pedicure because all of your household income goes towards necessities. 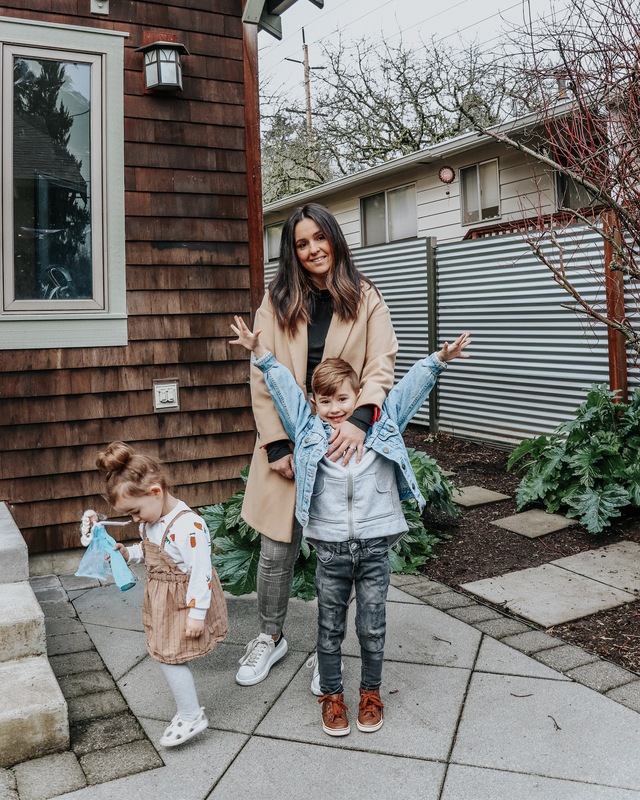 In this post I will share ways that I was able to go from having to work full-time to being able to be home with my kids more and still have my own extra spending money. When Jason and I both got married we had just graduated college and were working decent 8am-5pm jobs. He was working as a Network Administrator and I was an Accounting Assistant. Jason was trying to start his own business on the side and we were doing well for not having kids and for being at the start of our career. Together we were able to buy a home, remodel it and rent it out. We then bought our second home that we remodeled and lived in (the home we just sold in this post here!). We went on some amazing trips, ate out all the time and just enjoyed life. Fast forward a few years and surprise, we got pregnant with out first! My mom always worked full-time so I never thought about being a stay at home mom until closer to when our son was born. By then my career had really taken off and I was working more than 40 hours per week. I loved my job and thought the obvious choice was to just go back to my normal schedule after the baby was born. Once he was born I realized that I didn’t want to be anywhere else but with him. I counted down the days as the end of my maternity leave neared. I dreaded the day I would have to backup out of my driveway and leave him home with someone else. This is when the conversation started about me possibly wanting to stay home so that I was not away from our baby so much. There was just one problem, we had built our life on two solid income streams. Even though we were making good money, we couldn’t afford for me to stay home. We still had school loans, were finishing our remodel and Jason’s business was finally taking off. We were using money from our day jobs towards building his business. And quite frankly, we were spending soooo much money on things we didn’t need. Such a waste. We had about $700 in school loans per month! The obvious thing to do was to pay them off asap and that is what we did. Once those were paid off we had an extra $700 in our bank account each month. To pay these off we simply just cut other areas out (which I will talk about next) and put that money towards the school loans. We never had credit card debt and still do not carry any sort of credit card debt. If I don’t have cash to buy something, I simply won’t buy it. If you already have credit card debt, focus on paying that off as soon as possible. We used to eat out a-lot. Some months we would spend $1,000 or more on eating out for just 2 people! It was ridiculous. Between the morning coffee runs, lunch and dinner dates, it was adding up quickly. We started drinking coffee at home or at work, I packed lunch for us everyday and we ate at home most nights with exception to our weekly date nights and weekends. We saved so much money by changing our eating habits and we ended up eating healthier too so it was a win-win! Well, the truth is, we both work really hard but we also spend our money wisely. You will read more about this in my “create your own income” section later on. And girl, you know I’m all about that bargain shopping, it’s in my blood. I did an entire thrifting series on my blog which you can read about here. Even if you have the money, why pay full price? Just seems like a waste if you ask me! Focus on smart shopping. Wait for things to go on sale, go thrift shopping and only buy groceries that you actually need and will use. Skip those manicures and pedicures and do your nails at home, buy drug store makeup instead of those expensive brand name products, do movie date nights at home rather than at the theater, etc. 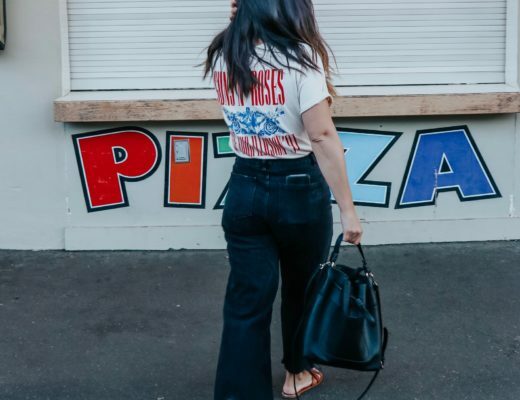 Think of other ways to cut back during the week so that you can save more and only splurge on the weekends if you really want to. If you have a gym membership, cancel that and workout at home. Maybe skip vacations for a year and put that money towards paying off debt or just save it. Look at your spending and identify the things that are “luxury” items and not necessities and cut back on those. If you can’t simply quit and stay home full-time, then start with part-time or even 4 days a week rather than 5. You may find that you like working part-time and like having the security of the extra income. After working part-time if you feel ready, then you can completely quit and just stay home knowing that you are ready for it. I worked full-time for about a year while we saved and paid things off. Be patient and focus on your financial goals, you’ll get there if you stay disciplined and focused. I then slowly decreased my hours over time. When we first got married we said we would always share one bank account because that’s what married couples do. Well over the years we have found that separate bank accounts actually help us spend less and we never really argue about our finances anymore. For example, every time I used to go to Target and spend waaayy too much because you know, Target. Jason would see it on our shared bank account and ask me about it. It would then lead to arguments about “well I work too” etc. You know how it is…. So, we sat down and made a list of all of our monthly necessities: mortgage, utilities, gas, insurance, food, babysitting (because I was working, we had a full-time babysitter), etc. Necessities are things you have to pay for every month no matter what. After we made the list we added up the total cost of all of these things and realized that Jason could pay for all of them. So we kept our joint checking account and left all of these expenses (with exception to babysitting) to be covered by his income. This way when the time comes for me to actually decide to stay home, we know our necessities are covered by his income. We then opened a second checking account for me and allocated babysitting, groceries and other miscellaneous items like new clothing for the kids, etc to my account. Basically I was responsible for paying the babysitter, making sure we have groceries in the house and making sure the kids have new clothes and shoes. Then whatever was extra like vacations, new house furniture, eating out, etc. would be covered by Jason. All I basically had to focus on was making sure the kids have everything they need and that we don’t starve. I still have access to our main checking account, it’s not like Jason removed me so I can’t see what he spends. We have one login to our bank account where we can see everything that goes in and out of our accounts. But ever since we made this change, we never argue about what I bought from Target, or why I have another pair of shoes or bag, etc. I don’t ever have to ask Jason if I can buy something or not. I also love having my “own” money and found that I am much more careful about how I spend it. Rather than spending it all, I am always looking for ways to grow my own income because it is rewarding. This leads me to my next topic! I still went back to work for a year after our son was born. I really wanted my husband to focus on building his business and not be stressed about being tight on money if I quit. So I started researching ways that I can make some income from home and that is when I started my Etsy shop. I already loved thrifting and so I started building my inventory and opened a little shop. Within about 3 months I was making $400-600/month net profit and was barely working on the shop! I was probably putting 2-3 hours of work per week into the Etsy shop. This allowed me to go from working 40+ hours per week at my day job to working 4 days per week and I had Friday’s home with our son and to work on my Etsy store. Once my husbands business took off and was doing well, we started talking about me quitting. I decided to see if I can find a part-time job before completely throwing in the towel and found a company that allows me to work from home if I want and on a set schedule (basically Mondays and Tuesdays). I applied and love it so much, I am still doing it now (3 years later)! I also started blogging two years ago just as a hobby and it has been a great and unexpected income stream for me as well. I no longer have my Etsy shop because between working part time and blogging, I had to let go of something. You can also make money by selling on Craigslist, reselling your clothes, taking online opinion surveys, writing for other bloggers, etc. If you look online, you will be surprised at all of the creative ways you can make some extra income. 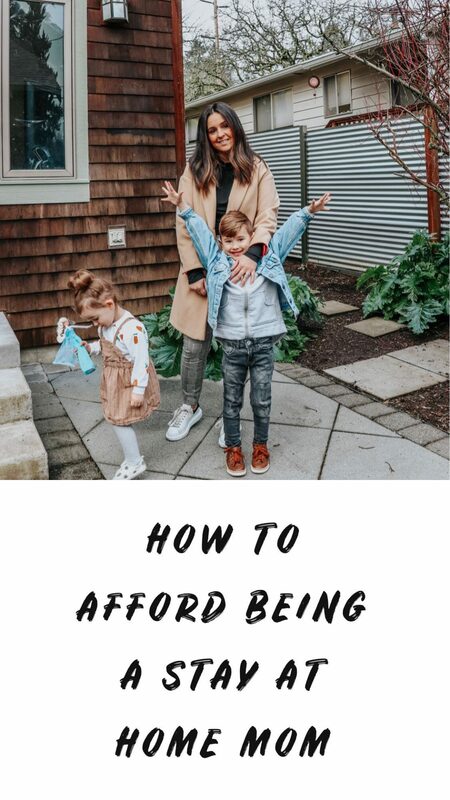 If you are already home full-time, you can find ways to have a little spending money of your own that you don’t have to ask your husband for. I used to scout out garage sales for cute furniture and would buy them, clean them up and resell them on Craigslist for 100% markup or more! I remember one time I bought this amazing mid-century walnut table at a garage sale for $250 and resold it for $700 on Craigslist. If nothing else, even a part time job in an office somewhere might be nice. I thought I wanted to stay home full-time but found that I love working part-time! This is my motto. I hate wasting time. If my kids are napping, I am rarely just sitting around doing nothing. I am either working from home, blogging, meal planning or doing something productive. When my nanny is at our house, I don’t go shopping all day and get my nails done (well sometimes I do), but I am usually shooting content for my blog or working on a project. I have come to realize that if I just sit around and do nothing, life will just pass me by. Time doesn’t wait for anyone. If you want to make an income for yourself, you need to be wise about how you spend your time. I hear a lot of moms complain that they have no money, things are tight, their husbands don’t let them buy things, etc. However, they aren’t willing to make any changes to their situation. If you see that your husband is working hard to provide and things are still tight, maybe use the time you spend watching tv, Pinteresting, scrolling through Instagram, etc. to find ways to better your situation. 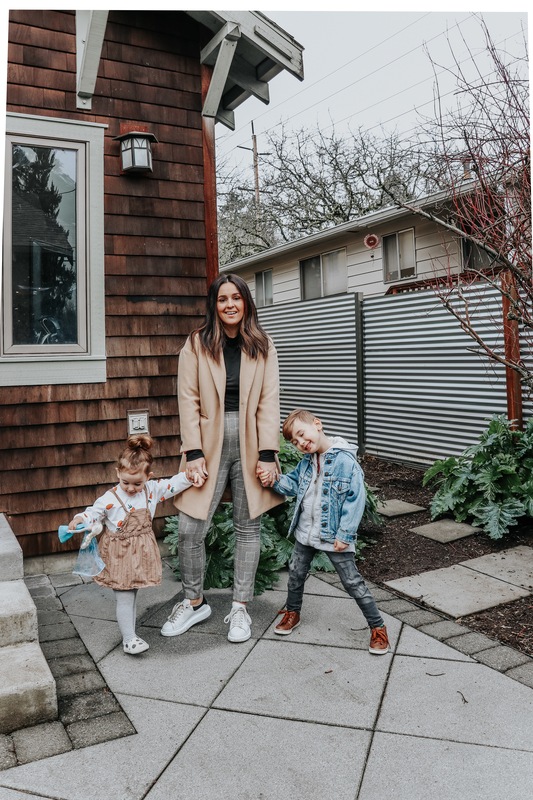 Focus on how you can save money for your family by spending your time wisely: cooking at home, reselling yours or your kids clothing or household items, have a garage sale, look for part-time work or even babysitting other peoples kids now and then. Think outside the box! Don’t put more pressure on your already hard working husband and find ways to take control of the situation in as many ways as you can. You can help be the change and your husband will love that you are trying so hard! The most important thing you need to do is get your finances in order. You will be surprised to see how possible staying home is if you look at your spending and cut things out. It’s a good practice in general. The sooner you learn to be smart with your money, the sooner you will realize how much money you actually already have. My husband and I both work from home now. It’s so nice to be able to see each other more and be with our kids more. It wasn’t always this way and it was really hard but we didn’t give up. If you are really longing to be home with your kids more, I encourage you to start the conversation with your spouse and see what options you have and what changes you can make. 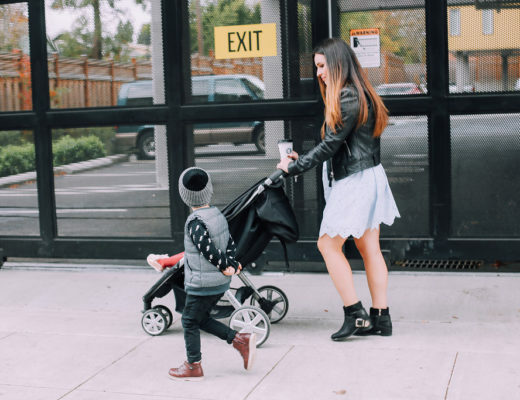 If you are a working mom and don’t see things changing anytime soon, I am putting together a post on ways that I survived working full-time and some tips to help you get more time with your kids. Wow, this is was a long post! Hopefully I wasn’t just rambling on and that some of you found this information helpful! If you have any other tips or questions on this topic, leave them in the comments below!